This is Calliope (the girl) and Donavon (the unicorn). She didn't believe in unicorns, until she met him, which he understood completely, because he hadn't believed in humans until he met her. They are now, of course, the very best of friends. 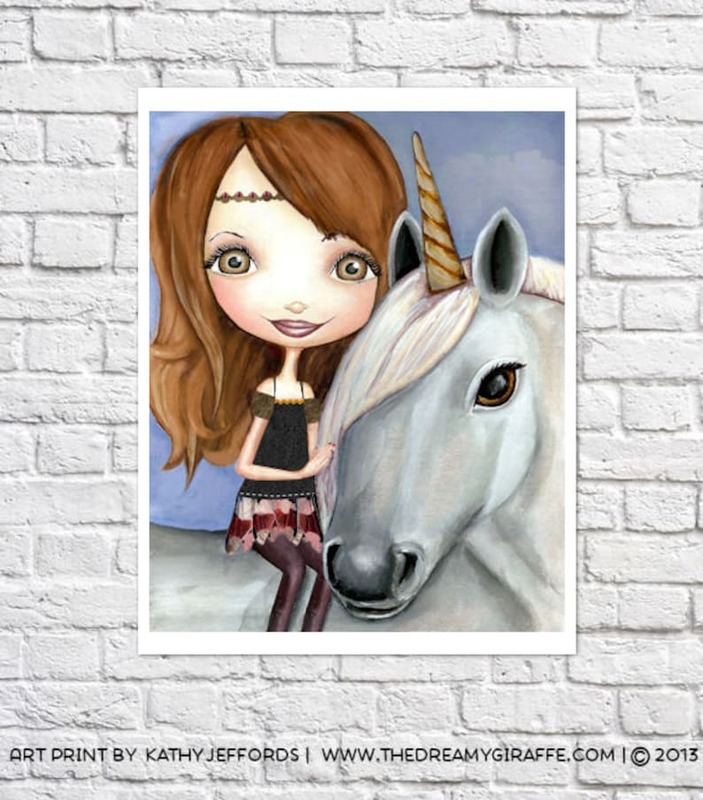 You can choose the eye color Calliope and her unicorn have in your print. If you'd prefer the the girl and the unicorn to have different colored eyes, I can do that, please just specify at checkout. © 2013 Kathy R. Jeffords. Copyright Not Transferable With Sale. Please do not post my work anywhere without crediting me (which should include a link). My work may not be used for any commercial purpose without my express prior consent. Thank you! Some Girls Are Extra Crafty Girl Art. Colorful Craft Room Print. Art Studio Decor. Little Girl's Room Wall Art. Artsy Crafty Quote Print.